Melbourne-based artist Jayson Haebich has rendered in thin air, literally, architectural forms in color. 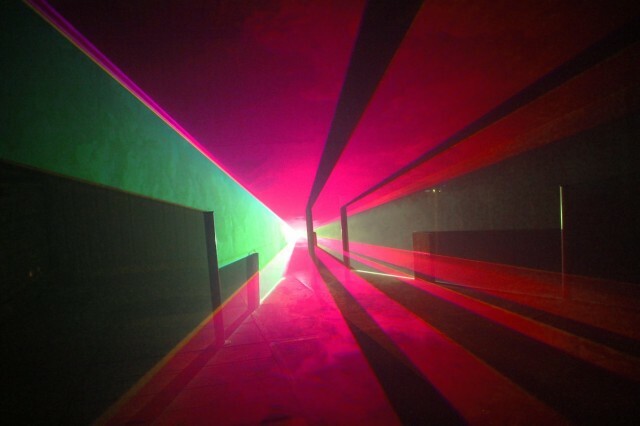 He uses custom software to map lasers through particles to produce an ephemeral sculpture of air. The results are gorgeous – frozen digital motion. These are a series of static light sculptures that have been created using laser light, smoke, shadows, physical shapes and custom built software to create complex compositions of shadow and light that play with the sense of depth and perception. These pieces challenge the observers idea of perspective and ask them to consider what components of the installation are physical objects and what are non physical objects such as light and shadow. 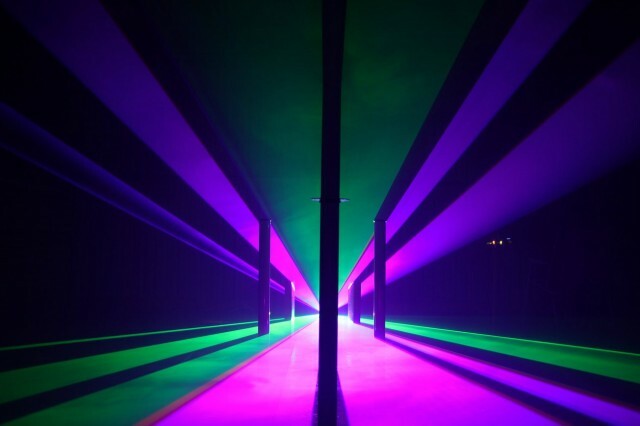 These sculptures fill the room with light and colour creating an almost mesmerizing effect as the beams of precisely mapped light from a laser cut through swarming particles and haze suspended within mid air to create almost solid looking planes of illumination. These pieces were created using custom built software that is used to map out physical features using a RGB laser and was created using OpenFrameworks. The main motivation behind these pieces is to use non-physical elements such as light and shadow as components of a solid-looking sculpture. They are quite simple in design: I place blocks and columns throughout the room and then map these out with my laser software. This enables me to create several effects such as having the columns stop the laser beam directly, or having the columns cut the laser beam in certain spots which, due to the contrast of the very bright laser, creates dark shadows that themselves look like they are made of some kind of physical object. 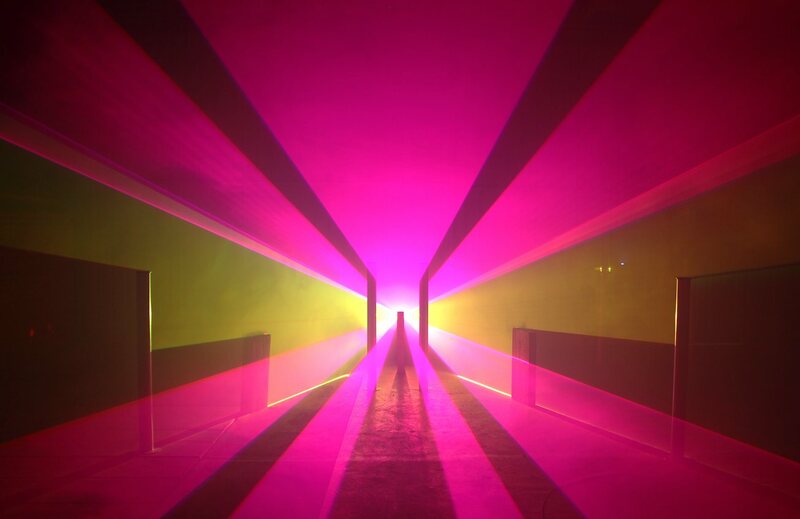 There is also a smoke machine, which makes the laser beam easier to see as well as enhancing the atmosphere of the space. These pieces (and my other works) are heavily inspired by Anthony McCall‘s light works such as “Line describing a cone” and “Cone of variable volume”.